Kundalini, also known as Shakti, is described as the primal energy or life force that animates living beings. 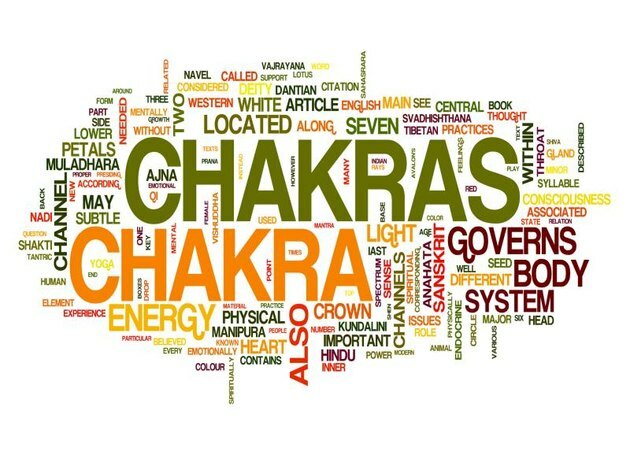 Kundalini permeates the whole body and is directly connected to the breath, but there is also a pocket of dormant Kundalini energy that lies dormant at the base of the spine in the lower charkas. This dormant Kundalini is said to be coiled around itself three and half times like a snake. When awakened, it rises up through the spine to the brain stem, causing the yogi to spontaneously attain samadhi, the ultimate state of spiritual awareness. While students seeking the full awakening of Kundalini are traditionally apprenticed under a qualified spiritual master, there are many ways to enhance your Kundalini in a gradual and wholesome way. Thus, you can easily avoids the pitfalls (madness, blindness, prolonged trance) that can accompany an ungoverned awakening of the Kundalini. Mantras are primal sounds that put your psyche in contact with the universal consciousness. Sit with your legs crossed and your spine erect. Focus your attention at the space between the eyebrows and chant: “Sa (infinity) Ta (existence) Na (death) Ma (rebirth)” This is known as the Panj Shabad mantra, Sa Ta Na Ma. Begin by chanting in a normal voice for the first 5 minutes, in a whisper for the next 5 and silently for the 10 more minutes. Then reverse the process, proceeding from whisper to normal voice. In Kundalini yoga, hands are regarded as maps to our conscious energy; each hand correlates to a different area of the body and different emotions and behaviors. Mudras are performed by making certain formations with the fingers and palms. Mudra is a technique for harmonizing the mind-body system. To perform the mudra corresponding to Sa Ta Na Ma, do as follows: On “Sa,” touch the thumb to the index finger. On “Ta,” touch the middle finger and thumb. On "Na," touch the fourth finger to the thumb. On “Ma,” touch the thumb to the little finger of each hand. 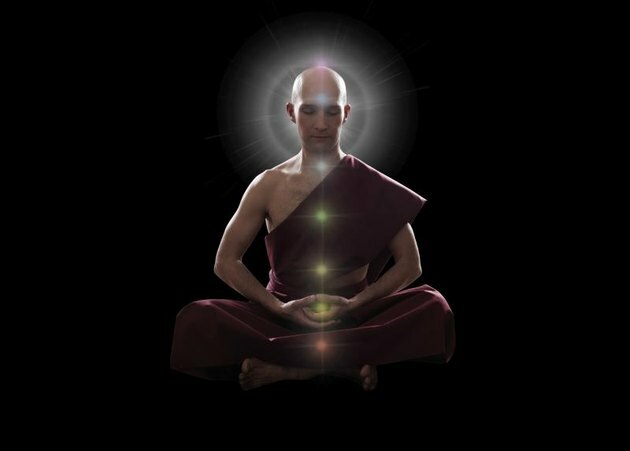 There are many ways to meditate, but according to Swami Bajhan, the founder of modern Kundalini yoga, meditating on the mantra Sa Ta Na Ma is supreme. As you chant the mantra and perform the mudra, meditate by concentrating intently on the primal sounds Sa Ta Na Ma, visualizing the syllables entering through your crown chakra and then shooting out to the universe through your Third Eye. As you you do so, recall that the mudras are sealing the imprints of knowledge, wisdom, patience and vitality on your consciousness. Pranayama, or breath control, helps the yogi gain control of his central nervous system. It cleanses and purifies the energy channels. There are numerous ways to practice pranayama, such as alternate nostril breathing. To perform, close your right nostril with your right thumb and inhale slowly through the left nostril. Now close the left and exhale through the right, then repeat the process in reverse. Freeform dance generates body heat while freeing your mind from its cage of conceptual thought. However, you won't dance up your Kundalini by doing any conventional dance steps. Put on meditative instrumental music and let your body follow the energy. Although Kundalini yoga can be at the rather mystical deep end of the pool, there is a place in its domain for the more familiar Hatha-style asanas, such as Headstands, Down Dogs and Corpse poses that are more commonly found in yoga studios. Kundalini yoga, however, prescribes that certain poses be done in succession and may incorporate some freeform arm and leg movement. In order to get in touch with the divine consciousness, it's essential to learn to relax. It prescribes a process of first tensing and then relaxing all of the muscles in your body from head to toe, which in turn prepares you for the following Divine Light Invocation. Kundalini yoga is full of light visualizations, the Divine Light Invocation being at the top of the list. Stand up straight with your feet at shoulder-width. Close your eyes and focus them at the center of your lower forehead. Lift your arms above your ahead and hold your body in tension, chanting: I am created by Divine Light. I am sustained by Divine Light. I am protected by Divine Light. I am surrounded by Divine Light. I am ever growing into Divine Light. While doing this, imagine that you’re being showered by brilliant bright light. Sit in meditation posture with your eyes focused at the lower forehead between the eyebrows. Imagine that your spine is a hollow tube made of glass. Now imagine the tube being filled with brilliant white light from the bottom up. Hold this image for as long as you can and repeat often. B__andhas means "body locks" and refers to internal muscular "locks" that allow you to control the flow of both creative new energy and purifying energy that eliminates negativity. Combining and harmonizing these two energies helps raise the Kundalini gradually and with control. Bandhas can be as simple as locking your chin into your chest to activate the jalandara bandha. Do You Yoga? : What are the Bandhas? What Do You Say at the End of Yoga Class?